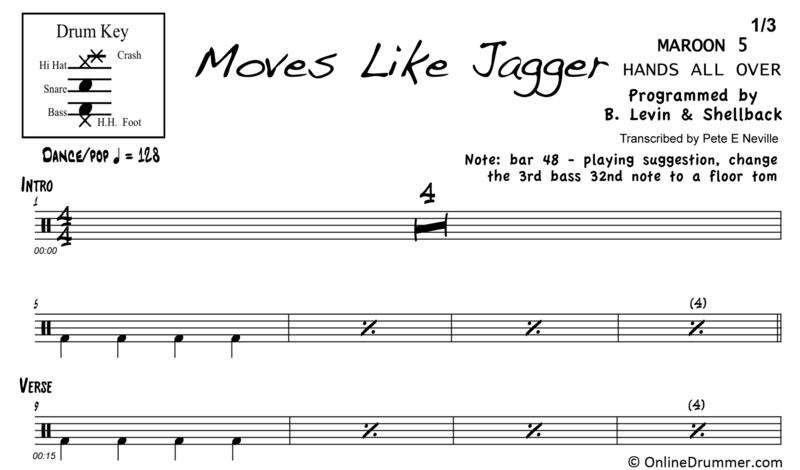 The full drum sheet music for “Moves Like Jagger” from the album Hands All Over (2011). 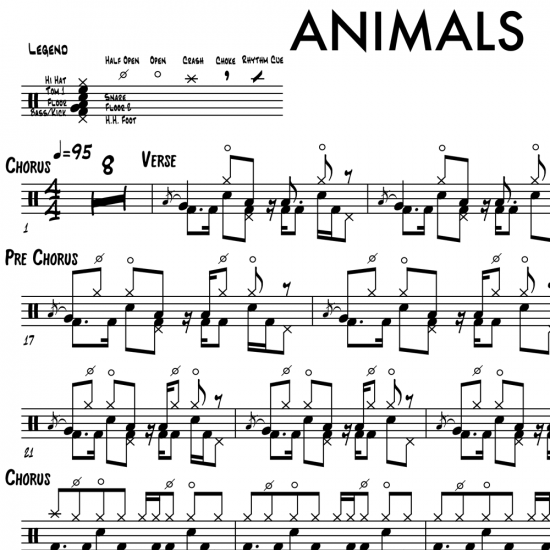 “Moves Like Jagger” features a driving, four-on-the-floor groove throughout with some funky hi-hat working during the choruses. 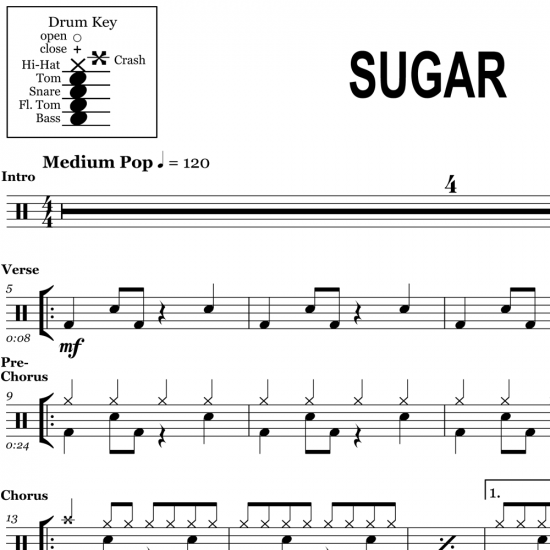 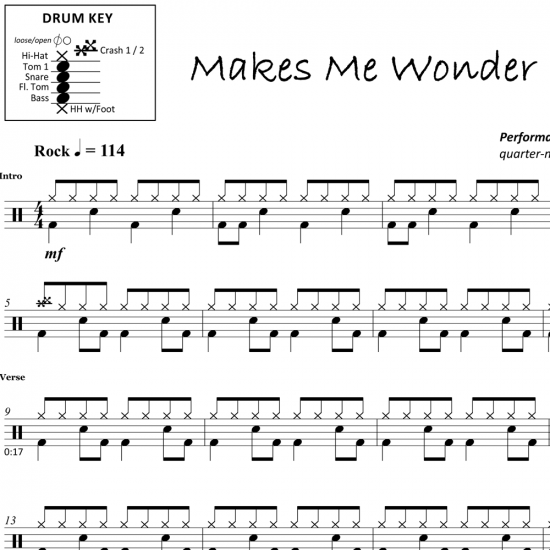 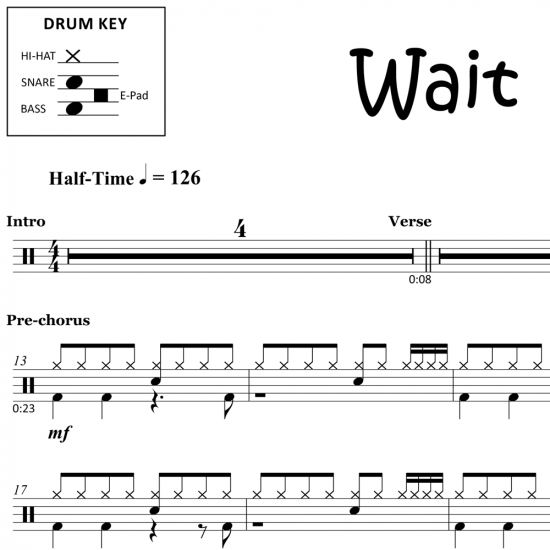 The drum track on this song is a programmed drum track, but this transcription is interpreted so that it can be played on an acoustic drum set.